Steve Ashmead played five seasons at Kingsholm from 1979 to 1983 making 59 1st XV appearances. Steve also made five England U23 appearances while representing Gloucester RFC. Born 27th May 1960 in Gloucester, Steve went to Longlevens Secondary Modern School. While studying as a Technical Illustrator and Graphic Artist at the Gloucestershire College of Art he played his local rugby for Coney Hill representing the Gloucester Colts – Gloucestershire Colts – Southwest Colts and was an England U19 Colts trialist before moving to Kingsholm at the age of 19.
representing a Gloucestershire County Presidents XV to mark the opening of the new Prince of Wales Stadium in Cheltenham. Steve also enjoyed his cricket once hitting 49 runs for a Gloucester Rugby XI against the Gloucester City Cricket XI at their home Spa Ground. He forgave his team mate for running him out so close to a half century. Many thanks for your work on the profile, Bruce. 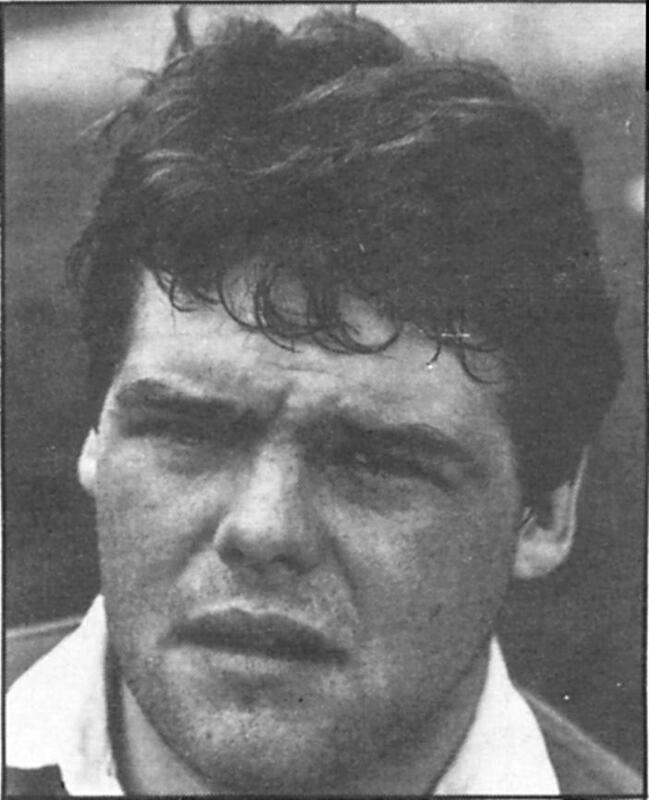 One point worth adding is that two of Steve’s caps came on the May 1982 tour of Italy when, together with John Brain and Mike Teague, he played for England Under 23 against both Italy U-23 and the full Italian side.